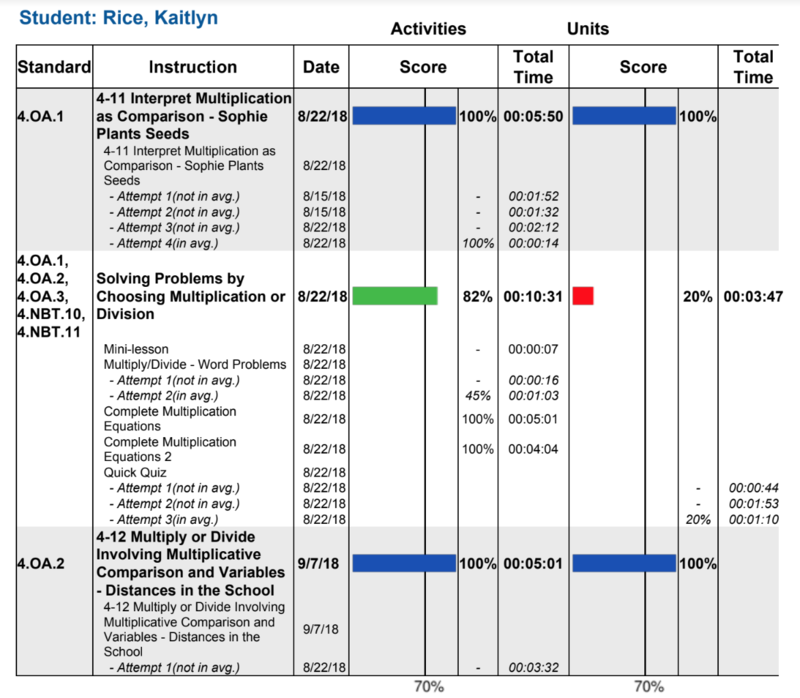 The Assignment Results report enables you to view how a class or a student is performing on a Classworks assignment. 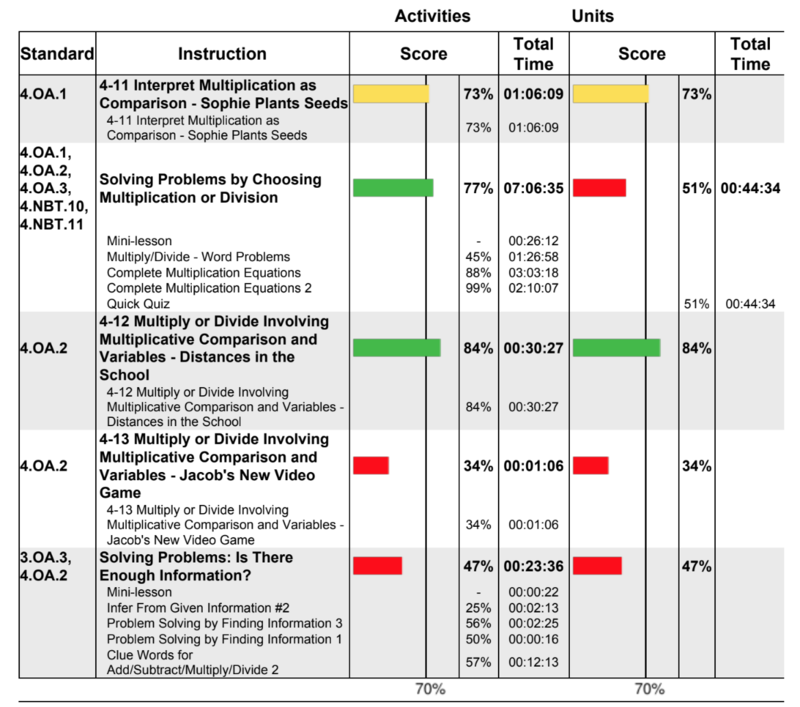 You can view both the unit activities scores and the final unit test score. 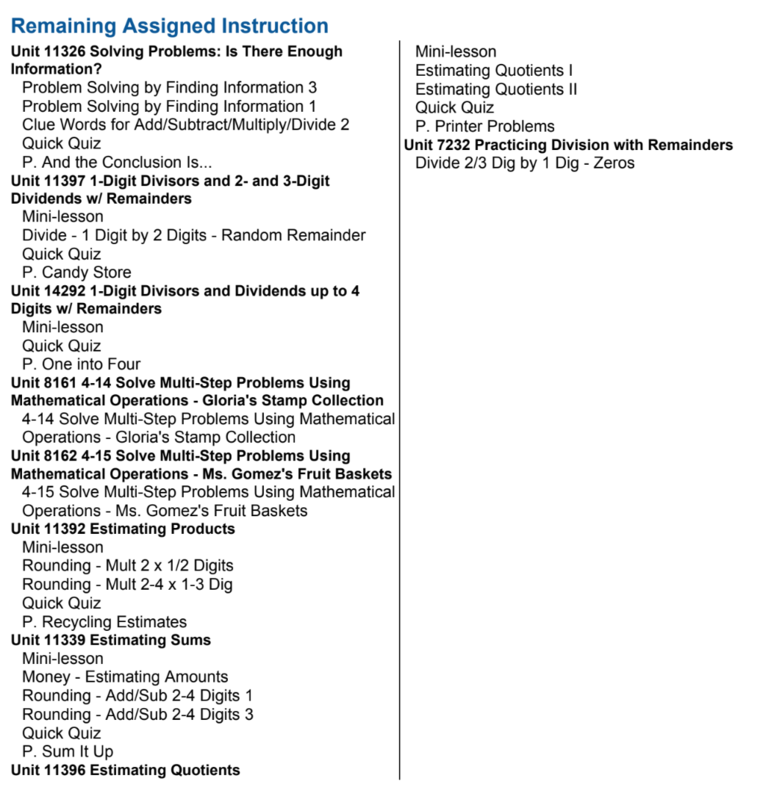 You also have the option to view a list of all assigned instruction in an assignment for a specific student. 1) From the Classes Tab, click on a class name or icon. Select the Instruction Sub Tab (located in the top-right corner, if not already selected). 2) Select the assignment or assignments you wish to generate data by placing a check next to the assignment name. Expand the assignment and select the student or students you wish to generate data by placing a check next to student names. 3) Click the Create Report button. 4) Select how to display the data. 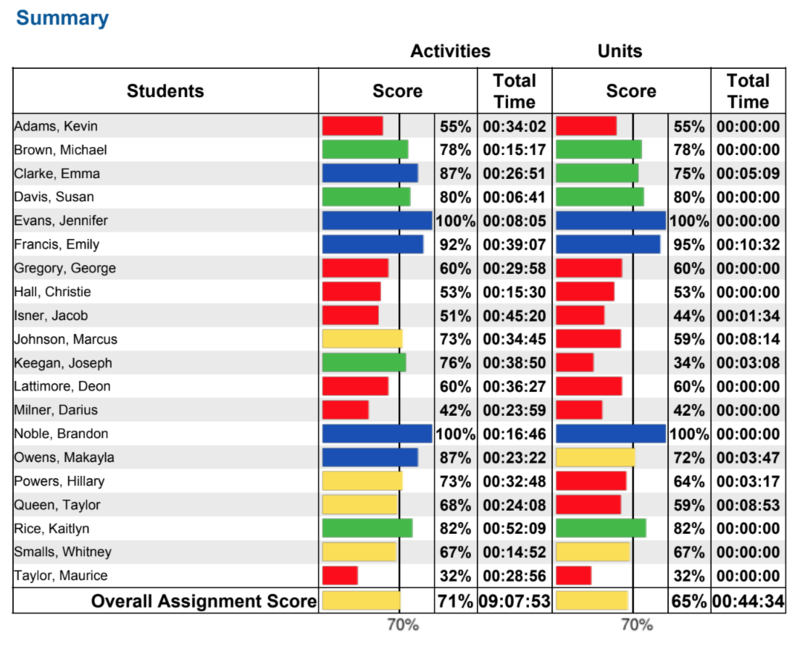 Classes: Displays how the entire group of users is performing on the assignment. Students: Displays how each student is performing on the assignment. If View Entire Assignment Is checked: the report will include a list of units that are assigned to the student(s). Note: If the View Detail option is also selected, the assigned activities within the units will also display. View Entire Assignment option is only available if you selected Display by Students in the previous step. 6) Select the dates covered by the report. Select a Report Range from the drop-down menu or enter a start and end date. While previewing the report, you will have the option to Print the report to a PDF. Once in a PDF format – it can be saved or printed. For any failing scores, look at the time on task. Is it adequate? Was adequate amount of time spent in the mini-lesson? How did the student perform on the quick quiz (if applicable)? Are there multiple attempts? Is the student putting forth effort or struggling? Note: If there is no score, only time on task for the activities or quiz, the student exited before he/she finished.